How do we science? / Science and Communication / Scientists in Action! On Thursday November 13th, 2014 the first annual SciREN Triangle workshop took place. 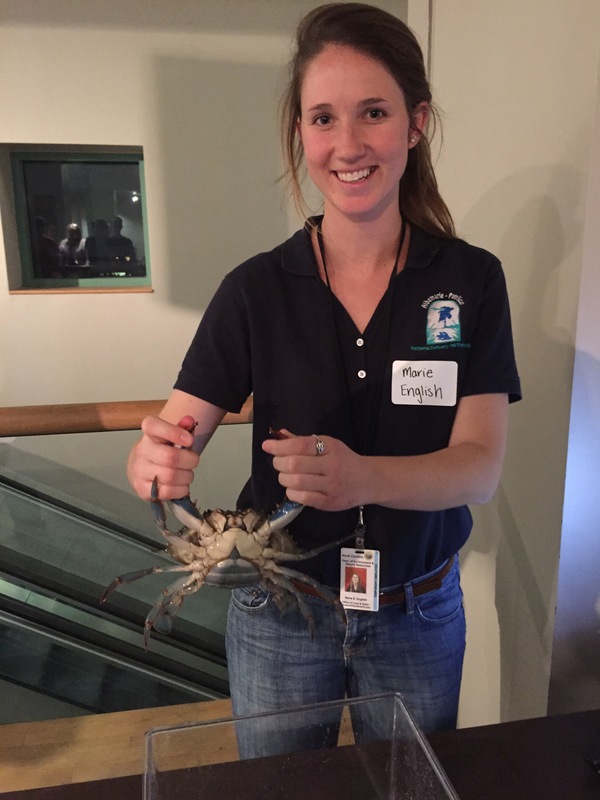 This event was hosted by the North Carolina Museum of Natural Sciences in Raleigh. SciREN (The Scientific Research and Education Network) is an outreach organization run entirely by graduate students. 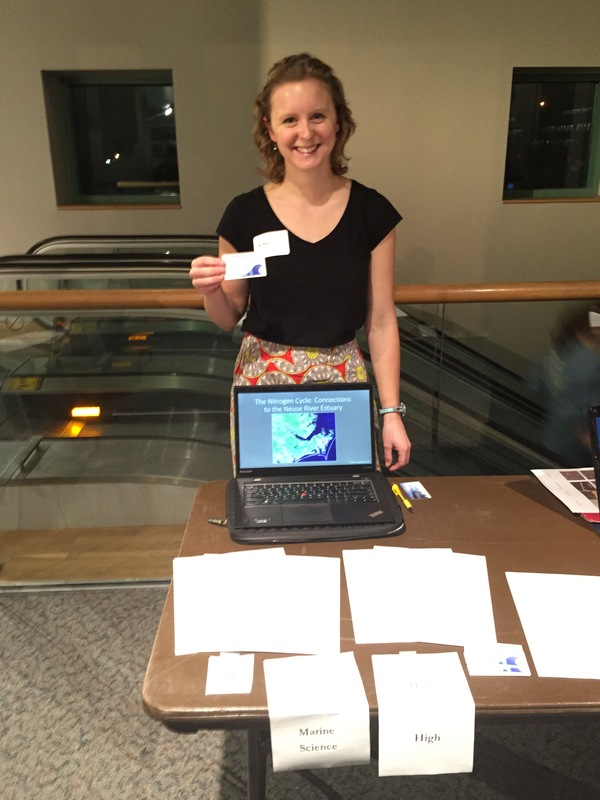 It has its roots in marine sciences and graduate students from Duke and UNC have joined forces to put on 2 SciREN events in coastal North Carolina over the past 2 years (here is my blog from last year’s SciREN Coast event). I joined the team this year and it has been an incredibly rewarding experience. Everyone involved in organizing these events shares a few common goals: to get research into the classroom and to help scientists become better communicators. Helping scientists become better communicators is the reason why we founded this blog! It’s been great to be able to get involved in more outreach and hopefully, to reach more people and really build an interest in science. I could write all about how SciREN works and what we are all about, but why hear it from just me. Check out the short video below to hear everything you would ever need to know about SciREN from the entire team! Speaking of the team, here we are all celebrating our 1st annual Triangle event! 1.) The event brings educators and researchers together to allowing the sharing of ideas and the building of relationships. 2.) Researchers write lesson plans based on their own research and interests (as well as state and national education standards) and pitch them to teachers. Teachers provide feedback to help improve the lessons and are able to implement these ideas in the classroom. 3.) All lesson plans and materials are made available online to all participants following the event. 4.) It’s a really fun time and a great way to network! To learn more about SciREN please visit out website at thesciren.org, like us on Facebook, or follow us on twitter (@sciren_outreach). If you want to get a feel for the type of research that is presented at these events, just keep reading! This year I spent some time walking around SciREN Triangle, talking to participants, and taking pictures. Unlike the SciREN Coast events of years past, the first SciREN Triangle event was open to anyone in a STEM field. This invitation was taken by many people as we saw research ranging from psychology to marine science to physics. 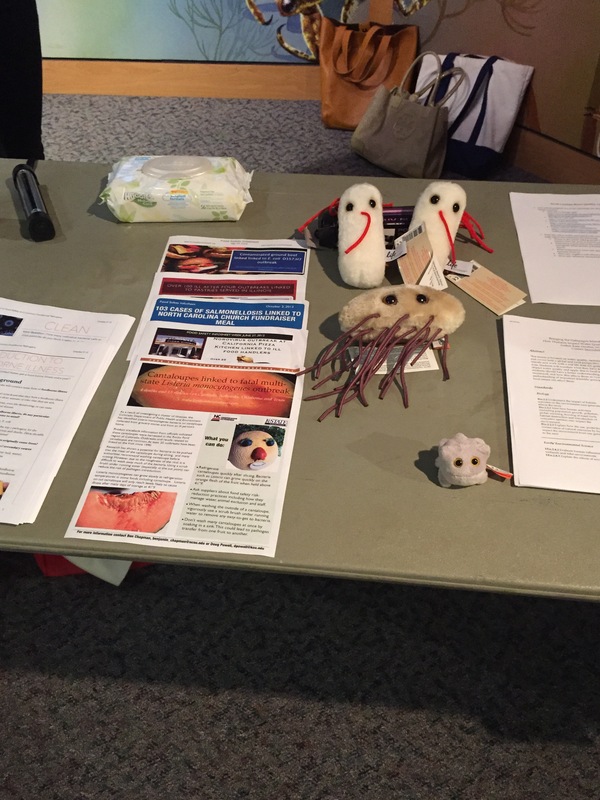 The NCSU Food Safety Culture Team presented demos on bacterial multiplication and food borne illness. They also brought along some plush microbes (and friend of UNdertheC, Katie Overbay). UNdertheC had quite the presence at SciREN Triangle! 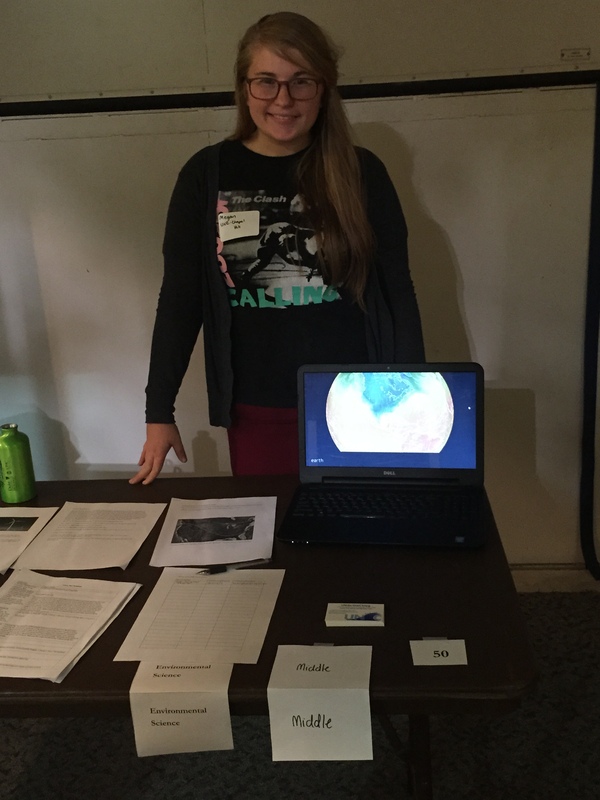 Megan Schutt and Alex Hounshell were there presenting on wind energy and nitrogen cycling in estuaries, respectively. 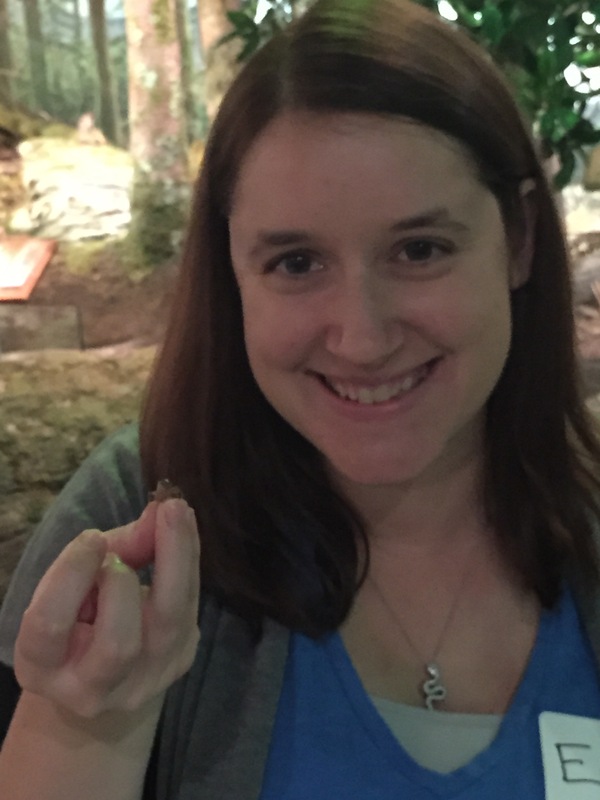 Emily Schmidt from UNC Biology presented a behavioral ecology lesson plan using live crickets and examining how they explore novel habitats. 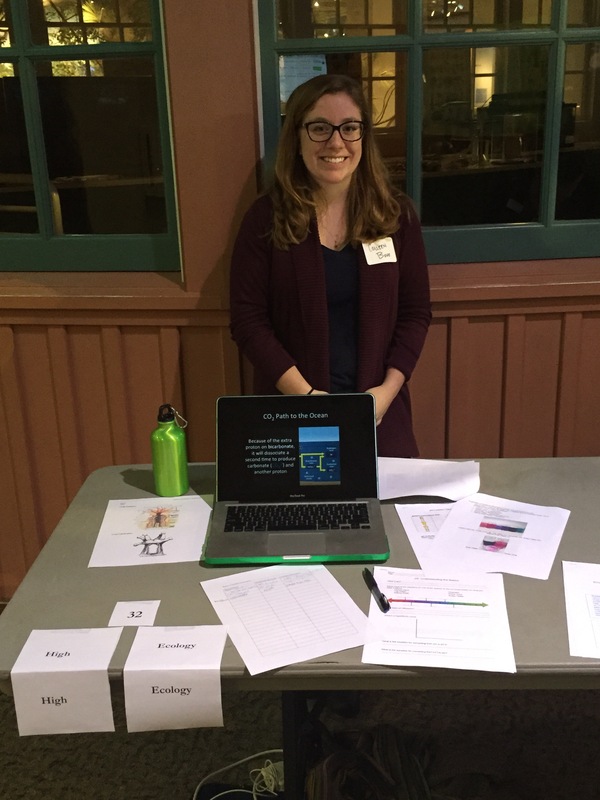 Friend of the blog and new Castillo lab technician Collene Bove made an appearance to present a lesson plan about ocean acidification! APNEP was also there, presenting several lessons and showing off a cool blue crab! Most of the presenters at this years event were graduate students, faculty, or researchers. however, undergraduates also came out to better their science communication skills! 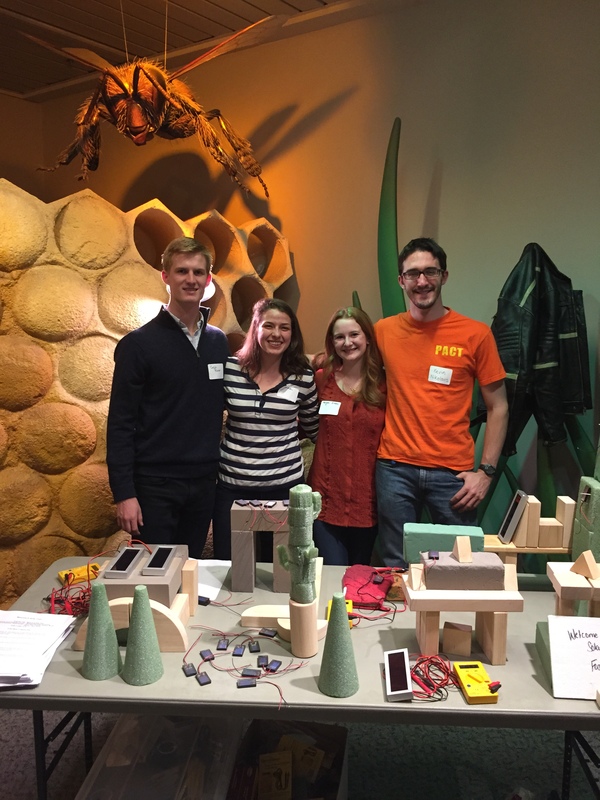 Here’s a 100% undergrad group from Duke presenting a cool lesson plan based around renewable energy, sustainability, and city planning (and possibly Cones of Dunshire). If you are interested in participating next year, check out our website or send us an email. Thanks to everyone who came out. We hope you all enjoyed it! Special thanks to UNC IMS comm director Kerry Irish for all of the video, many of the pictures, and a huge amount of support! Tags: Scicomm, Science, Science Education, SciREN, STEM. Bookmark the permalink.